How to navigate the cannabis and marijuana markets. 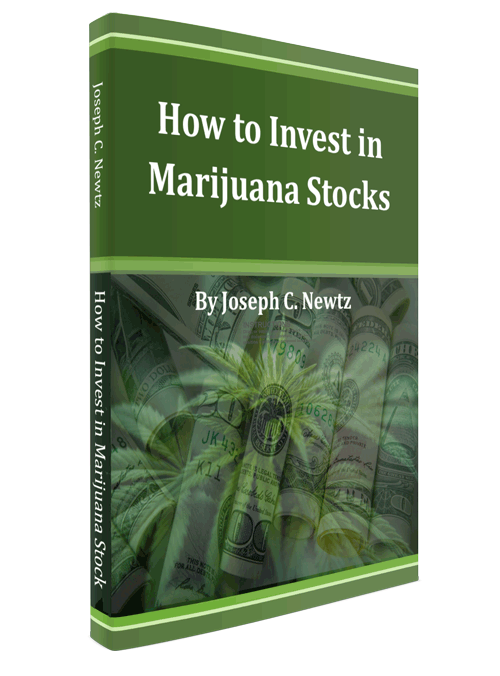 How and why to invest in Marijuana and cannabis Stocks. Understand the market opportunity and minimize your investment risk. Marijuana and cannabis market segment explanation and where to find resources. Get Your FREE Investment Guide and Bonus Investment Opportunities Now! Enter your email and get your guide! The Essential Guide to For Anyone Interested in Portfolio Diversification. Don't Miss this Investing Opportunity of a Lifetime! Think about it... 29 states and DC have legalized marijuana in some form, and recreational marijuana is allowed in eight states, including the District of Columbia. With over 64 percent (October 2017 Gallup) of Americans in favor of legalization, and big alcohol and tobacco throwing their hats in the ring, this is only going to get bigger. Investing and trading in cryptocurrencies, stocks, futures, and related options involves a substantial degree of risk and may not be suitable for all investors. Past performance is not necessarily indicative of future results. The information provided by New Money Investor is for educational purposes only and is not a recommendation to buy or sell or hold any security. The following terms and conditions are a legally binding agreement which govern your use of our website and purchase of products on our website. Please review the entire agreement carefully. When you submit any information on our website you are certifying that you are 13 years or older who can form legally binding agreements. Any access or use of our Website by anyone under the age of 13 is strictly prohibited. You further certify that you have read and agree to all terms and conditions contained in this Agreement. Unfortunately, we are not in a position to accept clients under the GDPR regulations at this time. For this reason, we do not accept referrals from European Union Member Citizens. We are continuing our efforts to ensure we will be able to comply with these important data restrictions in the near future. We have expunged all European Union Member Citizens data to the extent we have been made aware of the same. If you are a European Union Member Citizen, please notify us at privacy@investinginalternartives.com and we will remove and destroy your Personal Information as well. We apologize for the inconvenience. The information presented on the Website is provided for informational purposes only and is in no way intended as a substitute for professional FINANCIAL, LEGAL OR medical advice, diagnosis or treatment. ALWAYS CONSULT WITH AN APPROPRIATE PROFESSIONAL bEFORE TAKING ANY ACTION FROM ANY ARTICLE OR OTHER INFORMATION ON OUR WEBSITE. Limited License. You are granted a limited personal, non-exclusive and non-transferable right and license to access our Website and the information provided in our downloadable documents. Unless otherwise specified in writing, our services and downloadable documents are for your personal and non-commercial use. Our downloadable documents are protected by copyright and trademark laws which we will enforce. Disclaimer of Warranties. OUR WEBSITE IS FOR INFORMATIONAL PURPOSES ONLY. ANY PRODUCTS AND/OR SERVICES OFFERED ON OR THROUGH OUR WEBSITE ARE PROVIDED TO YOU ON AN “AS IS” AND “AS AVAILABLE” BASIS AND ALL WARRANTIES, EXPRESS AND IMPLIED, ARE DISCLAIMED TO THE FULLEST EXTENT PERMISSIBLE PURSUANT TO APPLICABLE LAW (INCLUDING, BUT NOT LIMITED TO, THE DISCLAIMER OF ANY WARRANTIES OF MERCHANTABILITY, NON-INFRINGEMENT OF INTELLECTUAL PROPERTY AND/OR FITNESS FOR A PARTICULAR PURPOSE). IN PARTICULAR, BUT NOT AS A LIMITATION THEREOF, WE MAKE NO WARRANTY THAT THE WEBSITE, THE PRODUCTS AND/OR ANY OTHER PRODUCTS AND/OR SERVICES OFFERED ON OR THROUGH THE WEBSITE: (A) WILL MEET YOUR REQUIREMENTS; (B) WILL BE UNINTERRUPTED, TIMELY, SECURE OR ERROR-FREE OR THAT DEFECTS WILL BE CORRECTED; (C) WILL BE FREE OF VIRUSES OR OTHER HARMFUL COMPONENTS; (D) WILL HAVE SECURITY METHODS EMPLOYED THAT WILL BE SUFFICIENT AGAINST INTERFERENCE WITH YOUR ENJOYMENT OF THE WEBSITE, OR AGAINST INFRINGEMENT; (E) WILL RESULT IN ANY SPECIFIC HEALTH-RELATED OUTCOME, FINANCIAL OR LEGAL OUTCOME; AND/OR (F) WILL BE ACCURATE OR RELIABLE. THE WEBSITE, THE PRODUCTS AND/OR ANY OTHER PRODUCTS AND/OR SERVICES OFFERED ON OR THROUGH THE WEBSITE MAY CONTAIN BUGS, ERRORS, PROBLEMS OR OTHER LIMITATIONS. WE ARE NOT LIABLE FOR THE AVAILABILITY OF THE UNDERLYING INTERNET CONNECTION ASSOCIATED WITH THE WEBSITE. NO ADVICE OR INFORMATION, WHETHER ORAL OR WRITTEN, OBTAINED BY YOU FROM US OR OTHERWISE THROUGH OR FROM THE WEBSITE, SHALL CREATE ANY WARRANTY NOT EXPRESSLY STATED IN THIS AGREEMENT. Limitation of Liability. YOU EXPRESSLY UNDERSTAND AND AGREE THAT WE SHALL NOT BE LIABLE TO YOU OR ANY THIRD PARTY FOR ANY DIRECT, INDIRECT, INCIDENTAL, SPECIAL, CONSEQUENTIAL AND/OR EXEMPLARY DAMAGES INCLUDING, BUT NOT LIMITED TO, DAMAGES FOR LOSS OF PROFITS, GOODWILL, USE, DATA OR OTHER INTANGIBLE LOSSES EVEN IF WE HAVE BEEN ADVISED OF THE POSSIBILITY OF SUCH DAMAGES, TO THE FULLEST EXTENT PERMISSIBLE BY LAW FOR: (A) THE USE OR THE INABILITY TO USE THE WEBSITE, THE PRODUCTS AND/OR ANY OTHER PRODUCTS AND/OR SERVICES OFFERED ON THE WEBSITE; (B) THE COST OF PROCUREMENT OF SUBSTITUTE GOODS AND SERVICES RESULTING FROM ANY GOODS, DATA, INFORMATION, CONTENT AND/OR ANY OTHER PRODUCTS PURCHASED OR OBTAINED FROM OR THROUGH THE SITE; (C) THE FAILURE TO RELALIZE ANY SPECIFIC RESULT FROM USE OF THE PRODUCT OR HEALTH-RELATED OUTCOME; AND (D) ANY OTHER MATTER RELATING TO THE WEBSITE, THE PRODUCTS AND/OR ANY OTHER PRODUCTS AND/OR SERVICES OFFERED ON THE WEBSITE. THIS LIMITATION APPLIES TO ALL CAUSES OF ACTION, IN THE AGGREGATE INCLUDING, BUT NOT LIMITED TO, BREACH OF CONTRACT, BREACH OF WARRANTY, NEGLIGENCE, STRICT LIABILITY, MISREPRESENTATION AND ANY AND ALL OTHER TORTS. YOU HEREBY RELEASE US FROM ANY AND ALL OBLIGATIONS, LIABILITIES AND CLAIMS IN EXCESS OF THE LIMITATIONS STATED HEREIN. IF APPLICABLE LAW DOES NOT PERMIT SUCH LIMITATION, THE MAXIMUM LIABILITY OF US TO YOU UNDER ANY AND ALL CIRCUMSTANCES WILL BE THE AMOUNT YOU PAID FOR THE PRODUCTS ORDERED AND PAID FOR ON THE WEBSITE. NO ACTION, REGARDLESS OF FORM, ARISING OUT OF YOUR USE OF THE WEBSITE, THE PRODUCTS AND/OR ANY OTHER PRODUCTS AND/OR SERVICES OFFERED ON THE WEBSITE MAY BE BROUGHT BY YOU MORE THAN ONE (1) YEAR FOLLOWING THE EVENT WHICH GAVE RISE TO THE CAUSE OF ACTION. THE NEGATION OF DAMAGES SET FORTH ABOVE IS A FUNDAMENTAL ELEMENT OF THE BASIS OF THE BARGAIN BETWEEN YOU AND US. ACCESS TO THE WEBSITE AND/OR THE PRODUCTS WOULD NOT BE PROVIDED TO YOU WITHOUT SUCH LIMITATIONS. SOME JURISDICTIONS DO NOT ALLOW CERTAIN LIMITATIONS ON LIABILITY AND IN SUCH JURISDICTIONS WE LIABILITY SHALL BE LIMITED TO THE MAXIMUM EXTENT PERMITTED BY LAW. 3.1 Product and Service Information Disclaimer. The product and service information provided on or through our Website is intended only for residents in the United States. Our Website and its links may, however, contain information about products and services that may or may not be available in any particular country, territory or region of the world (including the United States), may be available under different trademarks in different countries. The products and services and information therein advertised on our website have not been approved or cleared by a government regulatory body. We do not recommend or endorse the same. You should not construe anything on Our Website as a promotion or solicitation for any product or service or for the use of any product or service that is not authorized by the laws and regulations of the country where you are located, including the United States. Copyright and Trademarks. Our Website contains information, data, software, photographs, graphics, videos, text, images, typefaces, sounds and other material (collectively “Content”) that are protected by copyrights, trademarks or other proprietary rights, and these rights are valid and protected in all forms, media and technologies existing now or developed in the future. All Content is copyrighted as a collective work under the United States copyright laws, and We owns a copyright in the selection, coordination, arrangement and enhancement of such Content. All rights to such Content are reserved to their respective copyright owners. Except as permitted by the fair use privilege under United States copyright laws, you may not upload, post, reproduce or distribute in any way the Content protected by copyright, or other proprietary right, without obtaining permission of the owner of the copyright or other proprietary right. Any other use of the Content available on our Website, including reproduction for purposes other than as noted above, modification, distribution, replication, commercial or other use, without our prior written permission, is strictly prohibited. 4.1 DMCA Notice. The Digital Millennium Copyright Act of 1998 (the “DMCA”) protects copyright owners who believe that material which appears on the Internet infringes upon their rights under the U.S. copyright law. IF you believe that we have published information of yours which is protected copyrighted material, please send us a notification requesting to remove the material or block access to it. We will delete all content if correctly notified that such content encroaches or violates another’s intellectual property rights. All notifications should comply with the requirements of DMCA. If you believe that a notice of copyright infringement has been wrongly filed against you, the DMCA gives you permission to send a counter-notice to us. All notices and counter notices must meet the then current statutory requirements imposed by the DMCA; see http://www.loc.gov/copyright for details. Notice should be sent via email to admin@investinginalternatives.com. 4.2 Scope of Use of Copyright and Trademarks. We maintain the Website for your personal information, education, and communication. You may download material displayed on the Website for non-commercial, personal use only, provided you maintain all copyright and other proprietary notices contained on the materials. You may not distribute, modify, transmit, reuse, repost or use the content of our Website for public or commercial purposes, including the text and images, without our written permission. We make no representation that the information contained on the Website or our Products is appropriate or available for use in locations outside of the United States, and access to our Website from territories where the content of the Site may be illegal or inappropriate is prohibited. Those who choose to access our Website from other locations do soon their own initiative and are responsible for compliance with applicable local laws. 4.3 Your content. In the event you are permitted to post content (written, photography, video) or comments on our Website you agree that we do not review such content prior to posting and are not responsible for the accuracy, usefulness, safety, or intellectual property rights of or related to such content. You agree that any such content will not be inaccurate, offensive, indecent, or objectionable; and you agree to waive any legal or equitable claims, rights, or remedies you may have against us arising out of or related to other users content. You further agree that your content will be available to the public. If you register for any service through a third party social media account such as Facebook or Google, your profile may link to your public profile at that account. You are solely responsible for your content and the consequences of posting the same. You warrant that you have appropriate permission, license or rights to publisher third party content on our Website. By posting your content, you grant us a perpetual, nonexclusive, royalty-free, transferable, sublicenseable, irrevocable, worldwide right and license to reproduce, prepare derivative works including all right and license to use your name, likeness, photograph, image, voice, and statements in connection with your content and any derivative works thereof, including to promote or advertise our Website and the services or the products as well as the services of affiliates, advertisers and other third parties. To the extent permitted by law, you hereby waive any moral rights you may have in or to your content. Finally, you agree that you are not entitled to any compensation if your content, including without limitation, your name, likeness, photograph or image is adjacent to or included with advertisements, promotions, coupons, offers or other information, or otherwise used to promote our website or the products and services on the Website or any other company or product that is mentioned or discussed in your content. We reserve the right not to use or to remove your content without notice and for any reason. Indemnification. You agree to indemnify and hold Us, Our parent and subsidiaries, and each of their respective members, officers, directors, employees, agents, co-branders, content licensors and/or other partners, harmless from and against any and all claims, expenses (including reasonable attorneys’ fees), damages, suits, costs, demands and/or judgments whatsoever, made by any third party due to or arising out of: (a) your use of Our Website, services or products; (b) your breach of the Agreement; and/or (c) your violation of any rights of another individual and/or entity. Third Party Websites. Our Website may contain links to other websites on the Internet that are owned and operated by third parties. We do not control the information, products or services available on these third party websites. The inclusion of any link does not imply endorsement by Us of the applicable website or any association with the website’s operators. Because We have no control over such websites and resources, you agree that We are not responsible or liable for the availability or the operation of such websites, for any material located on or available from any such websites or for the protection of your data privacy by third parties. Any dealings with, or participation in promotions offered by, advertisers on Our Website, including the payment and delivery of related goods or services, and any other terms, conditions, warranties or representations associated with such dealings or promotions, are solely between you and the applicable advertiser or other third party. You further agree that We shall not be responsible or liable, directly or indirectly, for any loss or damage caused by the use of or reliance on any such material available on or through any such site or any such dealings or promotions. The Agreement shall be governed by and construed in accordance with the laws of the State of Delaware, without resort to its conflict of law principles. You agree that any action at law or in equity arising out of or relating to this Agreement shall be filed and adjudicated only in the federal or state courts located in or serving Delaware, and you hereby irrevocably and unconditionally consent and submit to the exclusive jurisdiction and venue of such courts over any suit, action, or proceedings arising out of this Agreement. JURY TRIAL WAIVER. YOU AND WE EACH AGREE TO WAIVE ANY RIGHT TO A JURY TRIAL FOR ANY ACTION AT LAW OR IN EQUITY ARISING OUT OF OR RELATING TO THESE TERMS OR THE SERVICES. CLASS ACTION WAIVER. YOU AND WE EACH AGREE THAT ANY ACTION AT LAW OR IN EQUITY ARISING OUT OF OR RELATING TO THESE TERMS OR THE SERVICES MAY ONLY BE IN OUR RESPECTIVE INDIVIDUAL CAPACITIES, AND NOT AS PLAINTIFF OR CLASS MEMBER IN ANY PURPORTED CLASS OR REPRESENTATIVE PROCEEDING. BINDING ARBITRATION. Should a dispute arise concerning the terms and conditions of the Agreement or the breach of same by any party hereto, the parties agree to submit their dispute for resolution by arbitration before the American Arbitration Association in Delaware in accordance with the then current Commercial Arbitration Rules of the American Arbitration Association. Any award rendered shall be final and conclusive to the parties and a judgment thereon may be entered in any court of competent jurisdiction. Nothing herein shall be construed to preclude any party from seeking injunctive relief in order to protect its rights pending an outcome in arbitration. General Provisions. Should any part of the Agreement be held invalid or unenforceable, that portion shall be construed consistent with applicable law and the remaining portions shall remain in full force and effect. The Agreement is personal between you and Us and governs your use of Our Website. Our failure to enforce any provision of the Agreement shall not be deemed a waiver of such provision nor of the right to enforce such provision. The parties do not intend that any agency or partnership relationship be created through operation of the Agreement. Information You Provide and We Collect. “Personal information” is information that can be used to identify you or any other individual to whom the information may relate. This is information which you to provide to us. Such information may include your name, address, telephone number, mobile number, payment source number or other personal information you provide to us during the registration process, or in the course of communicating with us about the products and services provided on our website. We may collect this same information about all other persons you provide to us. It is always your choice whether to directly provide us your Personal Information. Please note that if you decline to provide us Personal Information, then we may not be able to provide you with certain products or services and you may not be eligible for certain sweepstakes, contests, or other promotions we run. “Demographic information” is information that may or may not be unique to you in the sense that it refers to selected population characteristics. Such information may include, but is not limited to, zip code, mobile phone carrier, age, gender, salary range, education and marital status, occupation, industry of employment, personal and online interests. This information is not Personal Information but may be linked to Personal Information through the use of a cryptographic hash of an email address. In such a case, your identity is not specifically provided. “Third party information” is information about you that we acquire from a third party which may include personal, demographic, behavioral and indirect information. This collection may include, but is not limited to, first party cookies, third party cookies, anonymous cookies, persistent identifiers, email opt in and search engine keywords. We have no access or control over these cookies and other tracking devices used by third party advertisers and networks. We have no responsibility or liability for the policies and practices of these parties. Collection of Information Through Web Technologies. Log Files and Local Storage. As is true of most websites, we gather certain information automatically and store it in log files. This information includes IP addresses, browser type, internet service provider (“ISP”), referring/exit pages, operating system, date and time stamp, and clickstream data. We use this information to manage and operate our website as well as products and services on our website in order to offer you more personalized content and advertising. Certain Services may use local shared objects, such as Flash cookies, and local storage, such as HTML5, to store content information and preferences. Third parties may also use Flash cookies or HTML5 to collect and store information. Various browsers offer their own management tools for removing HTML5. User-Generated Content. We may offer features that allow users to post comments, photos, video and other user-generated content to public areas within our website which is public facing. Your account name and photo may be associated with the content and may be displayed publicly. Your user profile may also link to your public profile from a third party account if you registered with us through Facebook or other such service. Please take note that your user profile and any user-generated content that you post, including any Personal Information, are intended for public consumption, will be publicly accessible and will not be considered confidential. We may display user-generated content on our website and in our marketing including comments and we or our users may share such content with third party sites and services. Mobile Policy. In addition to the collection of information described above, when you download or use one of our mobile applications, or access our website through a mobile device, we may automatically collect information about your location and your mobile device, including your operating system, device type, and device identifier. We may also request access to the device storage and permission to send you push notifications. You may decline to provide location information, storage and push notification permission at any time using your mobile device’s system settings. We also use mobile analytics software to allow us to analyze the usage and performance of our application or ads on your mobile phone. This may record information such as how often you use the application, the events that occur within the application, usage, performance data, and where the application was downloaded from. We may link the information collected on your mobile devise to software allowing us to analyze the same. Providing Services and Products. We use the information we gather on our website to provide you with the services and or products you have requested. This may include passing your information on to a third party to provide such services or products. We do not control the privacy practices of these third parties. If you have any questions or wish to remove your information from the third party databases, you will need to contact that party directly. Improving Our Website. We use the information we gather to respond to any inquires you make, operate and improve the functionality of our website, and deliver the products and services advertised on our website. Our services include the display of personalized products, content, and advertising, relating to your experience and interests. In addition, we use this information to comply with all legal obligations and resolve any disputes or concerns you may have. Marketing. We also use the information you provide to us to send you advertisements, promotions and content by third parties that we think will be of interest to you. To provide this service we may anonymize and aggregate information for different purposes which include traffic flow, analysis usage, product development, market analysis, reports and other insights. In addition California residents have the right to know if we respond to do not track signals or cookies. We do not respond to such signals or cookies. GDPR - Because of the recent GDPR regulations, we do not process any personal information or other data from EU Citizens. To the extent we could identify any EU citizens, we deleted their data from our systems. If you are an EU Citizen, please notify us and we will remove and destroy your Personal Information as well. EU Citizens – We do not accept or process any data from EU Citizens. We have deleted all known EU Citizens from our systems. If you are an EU Citizen and you want to be deleted or you want to be sure we deleted your Personal Information, please email us at privacy@investinginalternatives.com and use the subject line EU Citizen. Thank you! GDPR and EU Citizens. We are no longer accepting any Personal Information or other data from EU Citizens and have deleted all Personal Information we could identify as belonging to an EU citizen. If you are an EU Citizen and want your information deleted, please contact us! We do not accept European Union Member Citizens referrals on this Website.